New to a la mode? Get started! With its built-in discount of $874 over buying everything separately and single renewal date, Elite is our most inclusive bundle and saves you the most money. 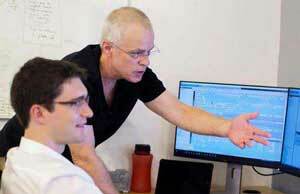 You’ll get 24x7x365 priority support on our private Elite line, TOTAL updates and maps, XSites with XSellerate, TOTAL Connect Pro, TOTAL Sketch Pro, InterFlood, Vault, Titan Analytics, exclusive product coaching sessions, access to Elite-only webinars, and more. Learn more. All our products are backed by our 100 day money back guarantee. If they don’t live up to your expectations, we’ll refund every penny. You’ve got nothing to lose. When you refer colleagues, we’ll give you credit equivalent of half of their purchase. (Example: If they spend $600, you get $300 in credit.) 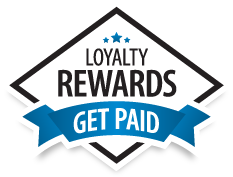 Learn more about our Loyalties Rewards program. Have questions? Call us at 1-800-ALAMODE. One tool that manages your back-office workflow from order generation to payment completion. You’ll get paid faster, communicate better, and make your office more efficient. Learn more. Gather data, take pictures, and complete whole sketches all on your favorite mobile device and sync seamlessly with TOTAL. Save time by eliminating manual data reentry. Learn more. Add credibility to your appraisal reports with our new fully-integrated tool for defensible market trends, charts, and regression analysis. Get unlimited access for $199/yr. Learn more. Get perfectly sized, high-res flood maps equipped with current, nation-wide census tract and flood zone data. No more downloading, editing, and importing flood maps into reports. Learn more. Make a spreadsheet of your yearly mileage that integrates with TOTAL in minutes. Cut time spent on tax prep, plus get estimates for your fuel usage, expenses, and vehicle costs too. Learn more. Save today with the bundle price of $99 for 2018 & 2019 Mileage Estimator! Note: This is for calculating your 2019 mileage. Get the 2018 version for last year's tax preparation. We’ve turned our seminars into on demand courses designed to help you become more efficient in TOTAL and learn how to build an effective mobile workflow. Learn more. Fully integrated with TOTAL, manage orders on your desktop and deliver compliant reports in just a few clicks to AppraisalPort (.ENV), CoreLogic Valuation Solutions, and more. Learn more. Automatically back up your appraisal reports, backup and restore settings and preferences, plus access and work on files from any computer with TOTAL and Internet connection. Learn more. Complete a report with confidence that you have an accurate sketch, complete with curves, angles, labels, and symbols from either a mobile device or your desktop. Learn more. Get more repeat business, referrals and new clients with proactive marketing. Automated print and email campaigns will land you non-lender clients regardless of the market. Learn more. Websites to proactively educate potential clients about your services, manage communication and orders with current clients, and leverage private work during slow seasons. Learn more. Get hands-on experience learning the biggest timesavers in TOTAL, and practical steps for going mobile. Learn alongside fellow appraisers and enjoy the opportunity to ask our expert instructors questions about TOTAL and TOTAL for Mobile. * 7 hrs of CE approved depending on state. No roadshows are scheduled at this time. Visit our TOTAL Store for vendors such as Anow, Apex, and DataMaster. From there, choose apps from mobile data gathering vendors, sketch companies, MLS/data providers, analytics and stats tool vendors, E&O firms, and more. Customize TOTAL to work precisely the way you do without extra hoops to jump through. Integration to launch SwiftEstimator.com, create your cost analysis, and then transfer the cost estimate directly into your report. * For the TOTAL version, visit the TOTAL Store. Bringing on a trainee, assistant, or data entry person? They need TOTAL too. Call 1-800-ALAMODE to cover your options and get special pricing.